Since the first vaccine against human papilloma virus (HPV) was introduced a decade ago, rates of infection within teenage girls has dropped dramatically, concluded CDC researchers. This rate drop is both promising and encouraging, especially since it was achieved despite the country’s low rate of HPV vaccination. Among girls aged 14-19, the rates of HPV strains targeted by the vaccines dropped from 11.5% to 4.3%. Among women aged 20-24, rates fell from 18.5% to 12.1%. Among sexually active girls and women from ages 14-24, rates fell from 16.9% to 2.1%. 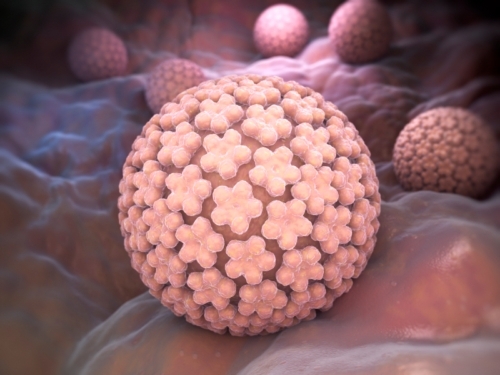 Rates of HPV in women aged 25 and older did not fall. The CDC only began advising the vaccine for boys in 2011, meaning there was not enough data available at the time to include them in this study. Future studies, however, will be able to include them as well. Although these rate decreases are only for HPV infections, the virus is also responsible for about 90% of cervical cancers. It is expected that a corresponding decrease in cervical cancer will be seen over the coming years as these women grow up free of the triggering infection. Perhaps more importantly, the study also showed the vaccine to be more effective than first thought. Unlike in other countries, the HPV vaccine is not mandatory within the U.S. and it is not offered by schools. Due to this and other factors, the U.S. has an HPV vaccination rate of around 40% . This is far lower than organizations like the National Cancer Institute would prefer and distinctly lower than countries like Australia (75%), the UK (84-92%), and even Rwanda (93%). Part of the reason the HPV vaccine is not offered or mandated as often in the U.S. has to do largely with parental fears about possible side effects and the worry that inoculating against an STD will encourage teen sexual activity. Reams of data are available that consistently counters both views, but they remain entrenched. So far, only the District of Columbia and two states—Virginia, and Rhode Island—have mandated the HPV vaccine. Another contributing fact is that doctors in the U.S. are reluctant to discuss the vaccine with patients and parents, in part because of worries regarding how to handle a topic connected to sexual activity. Part of the efforts to encourage higher rates of vaccination will involve finding means for doctors to better discuss the topic and better inform and educate patients and their parents. “NCI-designated Cancer Centers Urge HPV Vaccination for the Prevention of Cancer,” The McAnderson Cancer Center; https://www.mdanderson.org/content/dam/mdanderson/documents/prevention-and-screening/NCI_HPV_Consensus_Statement_012716.pdf, last accessed February 22, 2016.